We are very proud of our lineage at Relson Gracie CT, with owner and head coach Daniel Pilewski only three steps removed from Helio Gracie. We also have the honor of Grand Master Relson Gracie and one of his black belts, Phil Cardella, offering seminars regularly. In the early 1900s, Brazilian businessman and politician, Gastao Gracie, befriended Japanese prize fighter Mitsuyo Maeda. In exchange for his friendship and hospitality, Maeda offered to teach Gracie’s son, Carlos, the Japanese martial art of Jiu-Jitsu. Helio Gracie learned from Carlos Gracie, who founded a martial arts academy to pass on this knowledge to his family. However, Helio Gracie, while understanding the techniques in theory, had trouble executing them due to his frail physique. He modified the martial art to place more of an emphasis on leverage and timing over strength and speed, thus creating "Gracie Jiu-Jitsu". Helio Gracie challenged all reputable fighters in Brazil, including boxers, wrestlers, and judokas. His victories proved the effectiveness of Gracie Jiu-Jitsu, and he has often been referred to as the first sports hero in Brazilian history. The second-oldest son of Helio Gracie began learning Jiu-Jitsu at age 2 and entered his first competition at the age of 10. He was the Brazilian National Champion for 22 years straight and, during this period, went undefeated in his weight and the open weight division. He became so popular that he attained the nickname “Campeao” or “Champion” among his friends and fans. Relson represented his family’s style in the rough streets of Rio de Janeiro against all challengers. At the time, he was considered the meanest of the Gracie representatives. Relson, as a Master of Jiu-Jitsu, still learns and follows the promotion standards set by his father. Relson’s style of instruction is detail-orientated and technical. His world-renowned, submission-based style of Jiu-Jitsu is best suited for self-defense. Today, Grand Master Relson Gracie has over 48 associations across the United States. 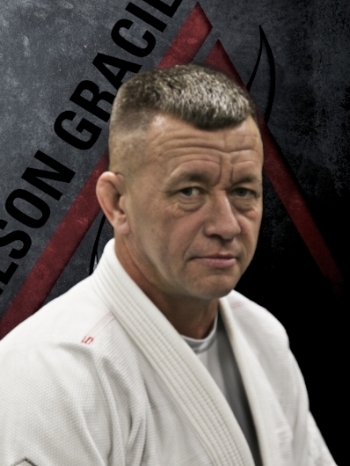 3rd-degree Relson Gracie black belt, Phil Cardella, is a full-time instructor with over 23 years of experience in martial arts and combat training. At the time of his promotion, he was the youngest Relson Gracie black belt in the world. He has over 13 years of professional MMA competition experience and has represented the Gracie family name by fighting in the largest arenas in the nation, including the WEC, Nationwide Arena, Honolulu Convention Center, arenas in Las Vegas, and more. As a seasoned veteran, Phil has also coached fighters to victory in the UFC, Strikeforce, WEC, GFC, AMP, and more. A 1988 graduate of Berlin High School, Daniel Pilewski returned to Connecticut after retiring from the United States Army as a First Sergeant (1SG) with 23 years of active service. He is a Tactical Combatives Instructor (Level IV Modern Army Combatives Program) and was the NCOIC for his Brigade's combatives program while at Ft Hood, Texas. In 2006, Daniel started training at Relson Gracie Jiu-Jitsu Austin, under Phil Cardella. Daniel is currently a fourth-degree brown belt under Phil Cardella/Relson Gracie.